Antralaya is one of the important pilgrimage centers in South India as it houses the original samadhi of the great Vaishnava saint Sri Raghavendra. Sri Ragahavendra selected Mantralaya for his Jeeva Samadhi. Devotees visit Mantralaya to have the darshan of the Brindavan of Sri Raghavendra. 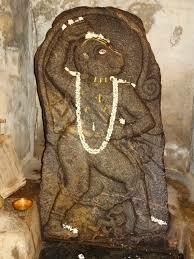 The mutt is situated on the banks of river Tungabhadra in the state of Andhra Pradesh bordering Karnataka. For sevas, you need to make a booking at the temple office by 8 AM. Most popular is the “Sankalpa Seva”. Aradhana at Mantralaya is very popular and numerous devotes reach Mantralaya at the time of Aradhana. Temple also serves free meals as Prasadam to all devotees visiting Mantralaya. The Samadhi is built in an underground chamber and a gold idol of Lakshmamma Avva is placed over it in the Sanctum Sanctorum. The beautifully decorated and bejewelled idol is a delight to watch. What was most endearing is that the idol was decorated with a saree made from pomegranate seeds. During her life, Lakshmamma Avva had considered even clothes as a burden. It was ironical to see her gold idol with so much finery. However, the devotees were showing their deep love, gratitude and devotion to Avva by decorating her to their pleasure. Even today, several hundreds of devotees throng her samadhi every day, seeking blessings and offering gratitude for prayers answered. The environment in the temple is calm and soothing amidst the glaring marble tiles. Some people also go into the underground samadhi and meditate in peace in front of Avva. 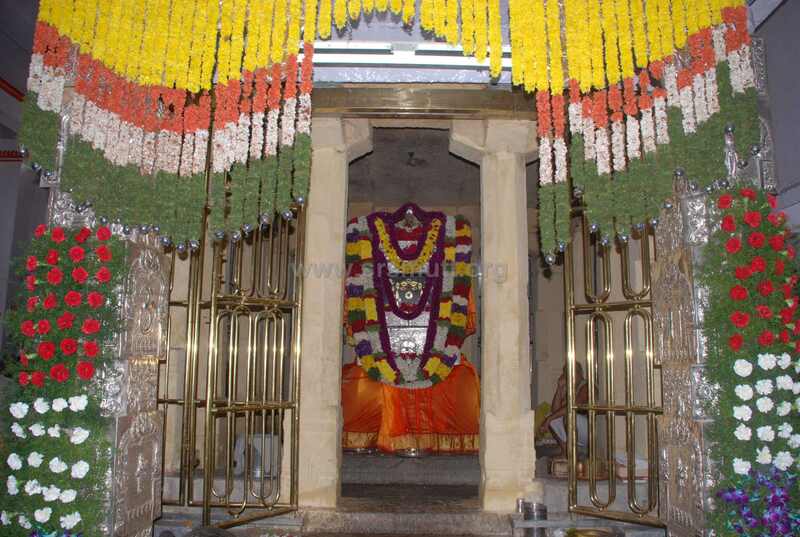 Sri Vyasaraja, the previous Avatara of Sri Raghavendra Swamy was the Raja Guru of Sri Krishnadevaraya. During his time on earth, he has created 729 Hanumans (some say 732) and installed them at various places. In that one of the temple is Budumuladoddi Sri Palike Devaru Temple at Surikeri Village. 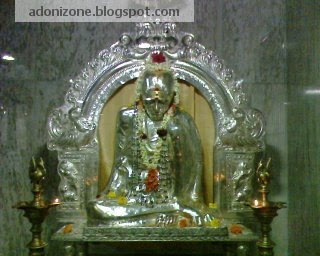 This temple is about 40 km to the South of Mantralayam. This very old temple belonging to 16th Century has been renovated in the year 1995. The temple has been renovated without disturbing the main shrine which really merits appreciation. The temple complex is small with a front vahana mandapa, a dwajasthamba, a small shrine for Lord Shiva and the main sanctum sanctorum for Palike Devaru, apart from a long dining hall to the right of the temple complete with stone tables and benches where Annadhana (distribution of food) is done every day.